Hoya sp. IV From WMZ is a plant that I received as a cutting from Joni at SRQ Hoyas in the summer of 2012. It has not been a particularly easy plant for me to grow well. 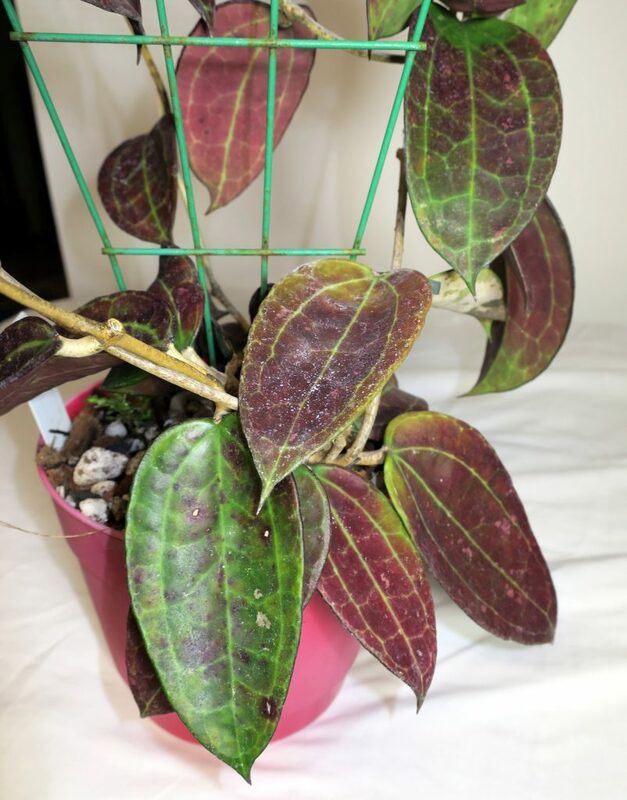 The plant leaves are very red when first emerging and matures leaves are also very red when grown in strong light. 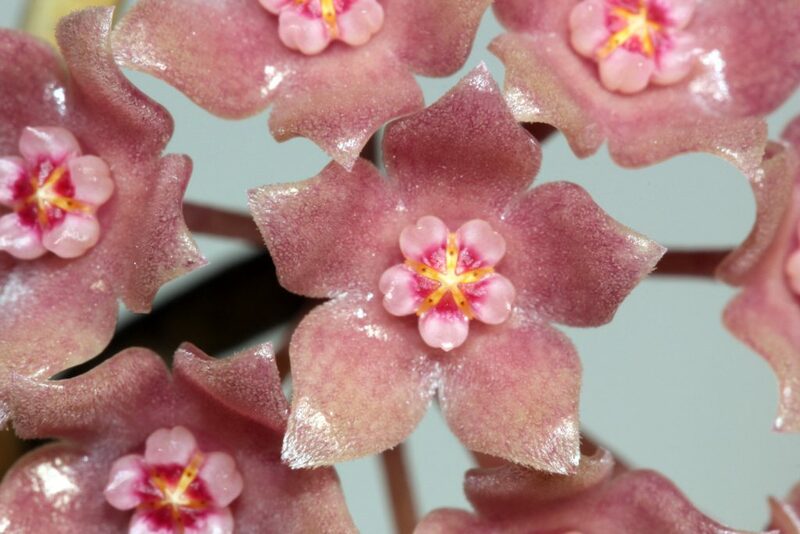 The flowers of Hoya sp. IV From WMZ are around .5 inches (1.2 cm) in size and are quite delightful with a light perfume scent. It took a little bit of research, but I finally found out what WMZ stand for. It is an abbreviation for Welsh Mountain Zoo, which is a zoo that has a wonderful 37 acre botanical garden in Northern Wales, UK. It houses plants from all over the world, and has a number of unique Hoyas in the collection. 1. Must be grown in high humidity – simply wont grow without it. 3. Dont over pot – surest way to shut it down for a long time. 4. Keep on the dry side – roots very susceptible to over watering damage. 5. Prefers sunshine to artificial lighting – Always grew best out of doors in the summer. Hoya sp. IV From WMZ is very like Hoya macrophylla in both leaves and flowers. Hoya polystachya has much larger leaves but the flowers are very similar. Of the three plants, I would have to say that I prefer polystachya, because of the huge more impressive leaves and the fact that it grows better for me.